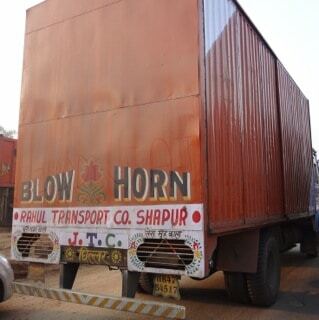 After spending a few days in India, I have a new-found appreciation for the horn. Unlike in North America (or Europe), Indian drivers have developed an entire language with this instrument. In a land where lane markings are ignored at best, as each vehicle (autorickshaw, car, motorcycle or truck) approaches from the side or rear, they honk their horns as if to say, “I’m here”. The response is a quick honk back, “I heard you”, to which the passing vehicle will sometimes honk back, “Thanks”. All very civilized. But to someone new, the cacaphony is jarring, rude, noisy, and an illustration of anything-but-civilized dangerous driving. Here’s the question: are you aware of the signals in the world of Social Media? Or are you oblivious to them? Each Social Media community has developed it’s own signals, sometimes quite distinct. Linking, Retweeting, Thanks for the RT, Following, Following back, Unfollowing: they all mean something to the “locals”. Like my Indian journey, the only way to discover the signals is to spend time “traveling” in each Social Media venue, learning to feel comfortable – and becoming more sensitive to – the signals around you. Yes, learning from others is important – this Tipsheet, my books, my presentations – but there is no substitute for getting on the plane and experiencing the signals first-hand. This week’s action plan: Are you (and your organization) sending the right signals when you’re using Social Media? Perhaps blowing your own horn a bit too loudly? Or perhaps you may not be aware of the nuances of each site? This week, spend enough time in your most important Social Media community to become aware of – and comfortable with – the local signals.